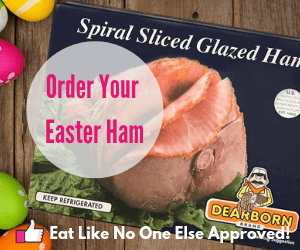 In my years of working in produce retail I always hated April. The excitement for citrus is beginning to wane. Fresh local asparagus is on the cusp, but not quite here yet. It’s been a long time since I had a good peach, plum or nectarine – that stuff from Chile doesn’t cut it. Even the apples are now pass their peak. So for this month’s Costco Food Finds, I am going to avoid the produce area. I am going to wander the aisles of the grocery, non-refrigerated section, and pick out the items I would most like you to check out. Got to love this avocado oil for it’s super high smokepoint. Avocado are so in right now. How many photos of avocado toast can you currently find on Instagram? Everything avocado is the name of the game and cooking oil can be categorized as everything. 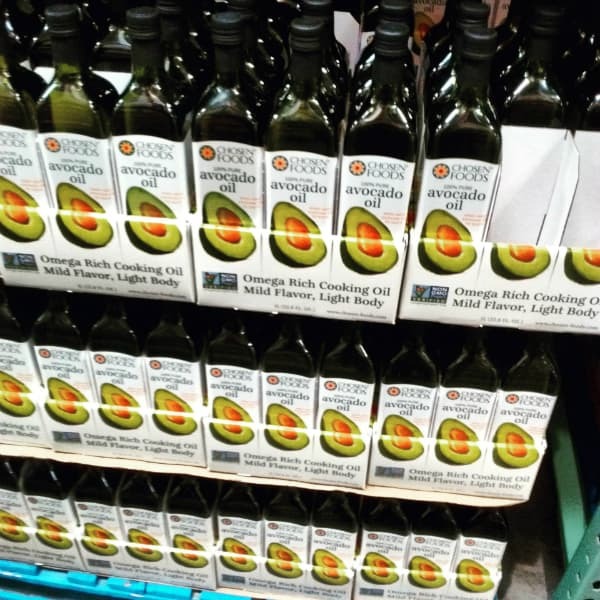 What do you do with avocado oil? It is a great frying oil. It has a high smoke point up to 500 degrees. The means the oil can take really high heat without smoking. There are concerns that once an oil passes it’s smoke point then the oil left may be carcinogenic – not something worth finding is true. The flavor of avocado oil that has been refined like this one is mild and smooth. 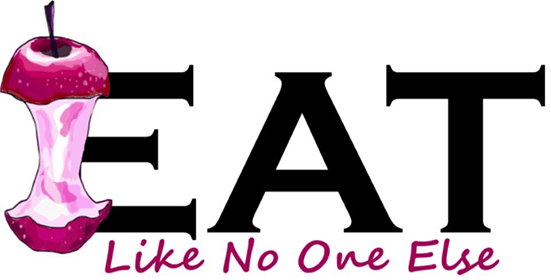 It won’t overpower the food. Chosen Foods makes an avocado oil mayo as well. The world’s most expensive way to season your food. 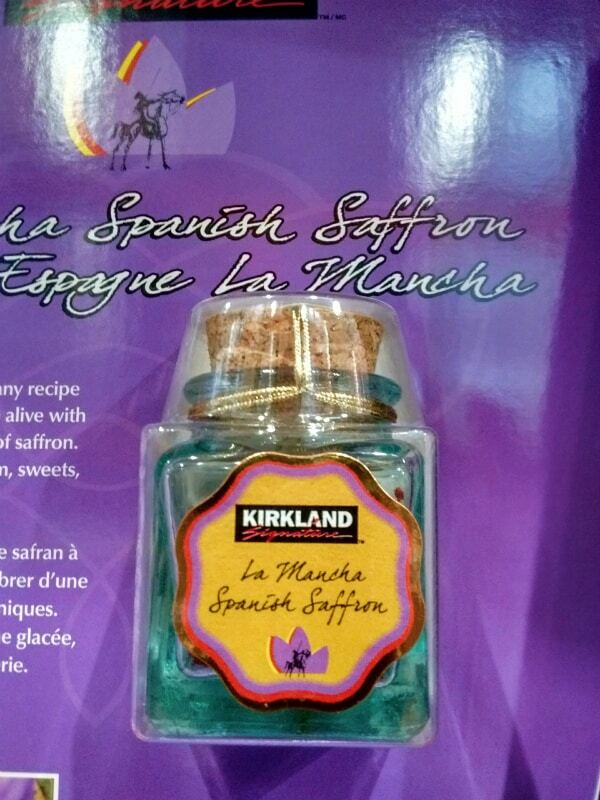 I got to admit this – I never tried saffron yet. I know what kind of foodie am I. The price tag always scared me away. But I do hear that a little goes along way. Plus I have seen a lot worse prices than what Costco is offering. Maybe one of these weeks I will give it a try. Why is saffron so expensive? Well it is hard to harvest. Saffron is the stigmas of a crocus. The little threads have to be painstakingly picked from the flowers as the right time. As you can imagine it takes a minute to get a significant amount of these threads. Welcome to the exciting world of ancient grains! 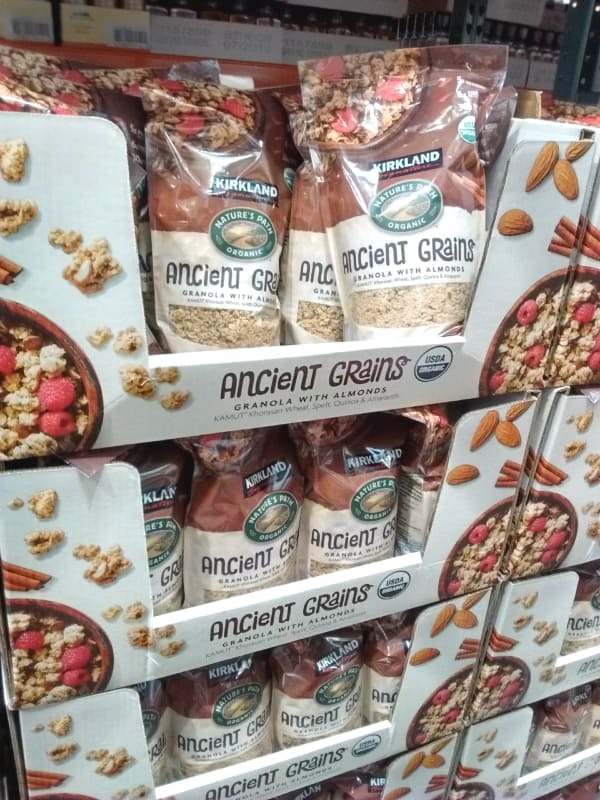 Ancient grains sounds like something Indiana Jones would be searching for. It sounds exciting. The grains included in this granola have been around for a long time but are enjoying a renaissance in our diets because it turns out they are pretty darn good for us. The ancient grains Nature’s Path include in this granola includes Kamut khorasan wheat, Spelt, Quinoa, and Amaranth. There are oats as well. I really enjoy giving these grains a try just for the sake of something different. Granola is great to toss on top your morning yogurt. 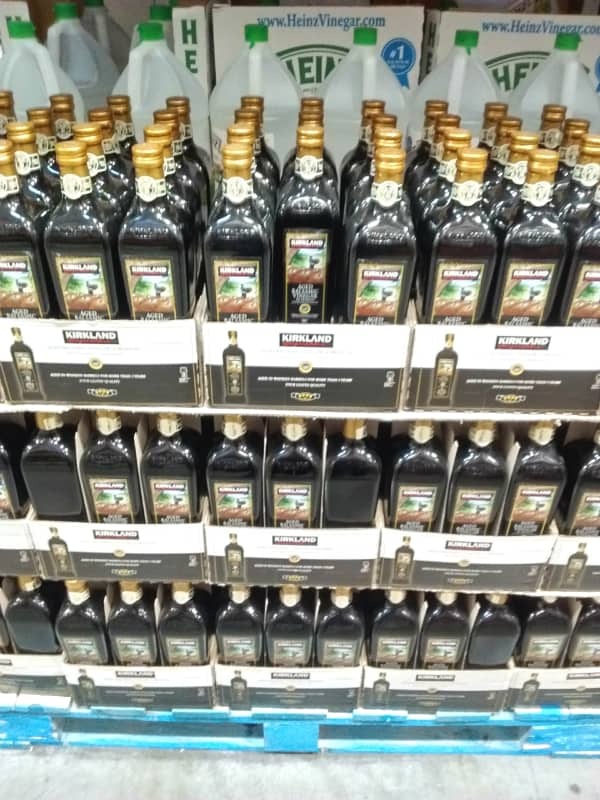 My first question is who needs this much Worcestershire sauce? I do enjoy the stuff, but man I take a year to go through one regular sized bottle. What am I ever going to do with two of them? This is the perfect chance to bless your friend, buy giving them the extra bottle to enjoy. 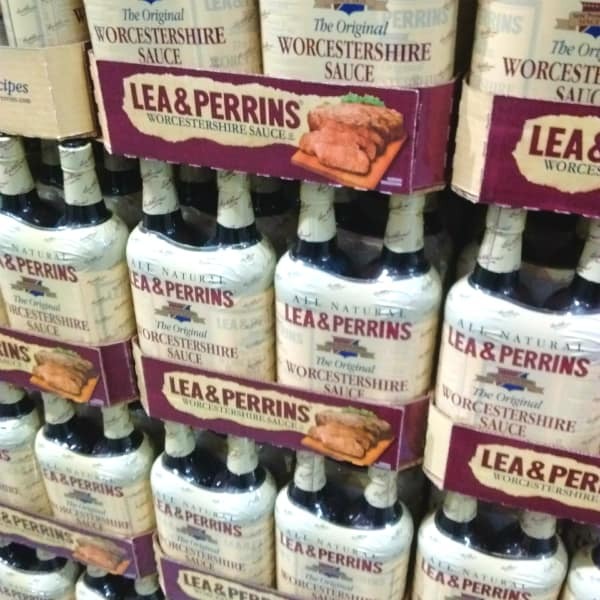 Lea & Perkins is believed to be the oldest Worcestershire sauce out there, dating back to the 1800s. By far my favorite way to use it is with a meat dish, especially right on top of a fresh off the grill steak. Worcestershire is also a good secret ingredient to add to your gravy – your mashed potatoes will thank you. I have also heard it’s good in salad dressings and in a stir fry. It’s been a while since I have seen their famous “Pardon Me” commercials. 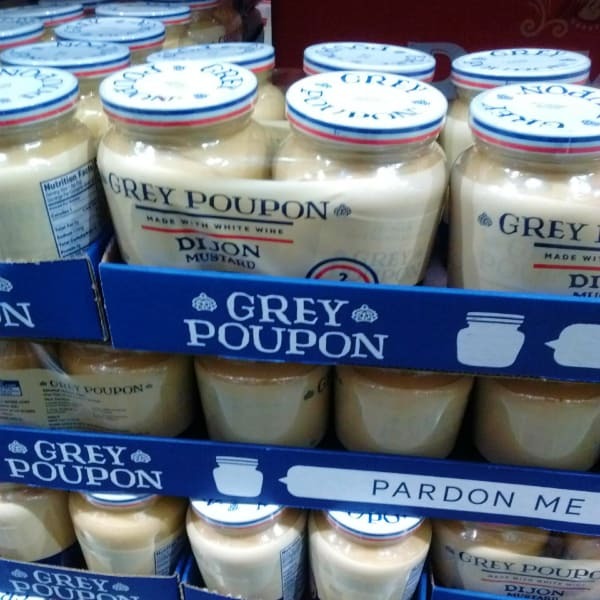 Pardon me, Can I have your extra jar of Grey Poupon? Another item I can’t imagine needing two of. Maybe one person can buy the Worcestershire and the other can buy the Grey Poupon and you can then swap. That’s a good price for some Dijon mustard. 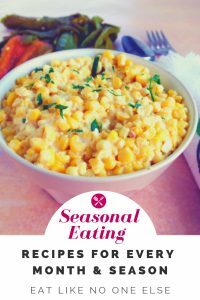 You could even forget the yellow mustard this upcoming cookout season and just use this stuff on your hamburgers and hot dogs. Your family and friends will certainly think more of you. Balsamic puts the “vin” in vinaigrette. Here is the perfect thing to buy in bulk and then forget about in the back of your pantry. Come back ten years later and realized you have aged your Balsamic and now it’s even better. For me I think at most I have gotten a year out of a Balsamic bottle. Yeah I like the vinaigrette too much. I am not a huge “eat a pickle by itself” fan – unless it’s a sweet pickle. However I have come to learn that I do enjoy non-sweet pickles as an ingredient. I recently had my first ever chicken shawarma. It had pickles mixed in with the chicken. It was pretty tasty stuff. 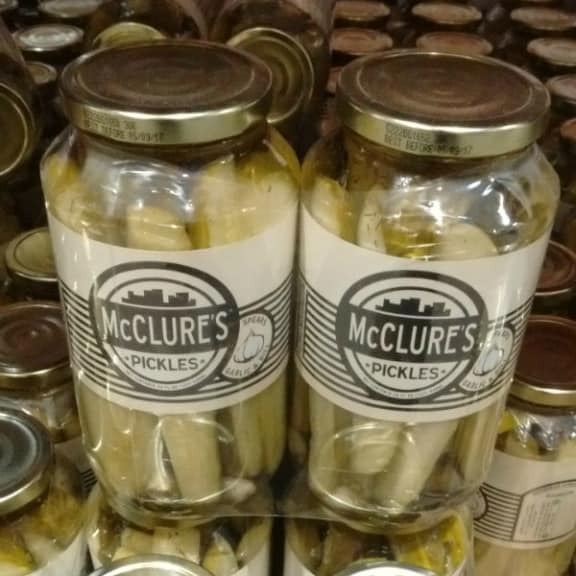 If I am going to make one of these sandwiches at home, McClure’s Garlic Pickle spears are the pickles I would want to have chopped up inside of my wrap. They are a Motor City brand – great way to represent my home state. Gotta have the garlic. This is how you buy good pasta without breaking the bank. If you are use to just buying the cheapest pasta you can find, you will be wowed by Garofalo. It will begin your re-education that pasta is more than just a delivery vehicle for sauce. The variety pack works out to being $1.50 per bag, which is great, especially for an organic pasta. 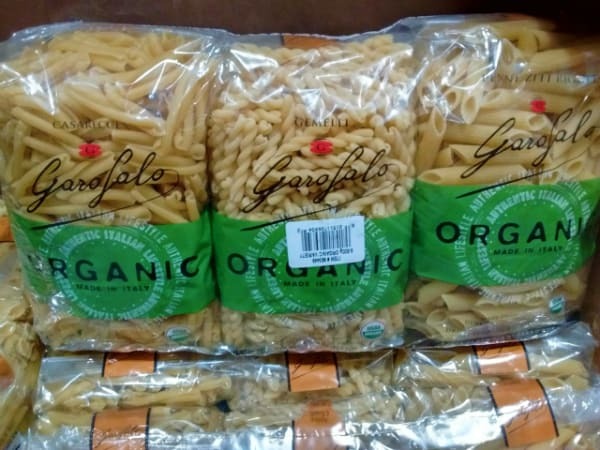 The pack includes 2 bags each of these cuts – Penne Ziti Rigate, Casarecce, and Gemelli. Raisins are given all the glory but I like dried blueberries in my baked goods. Great price for a big sized bag of dried blueberries. I love using them as many people would use raisins. On a salad. Yep. In cookies. Oh yeah. Maybe grab these and that granola I mentioned above and make that your morning yogurt routine. I do have to say that I don’t like these ones anywhere near as much as the wild dried blueberries from Trader Joe’s. But these are a better value. Save those wild ones for a special occasion – which for me really means the next road trip. 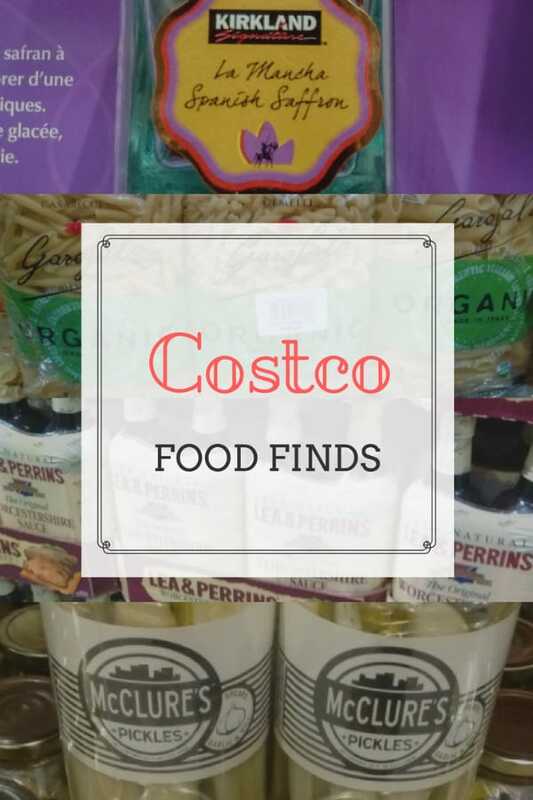 Thanks for coming along with me this month on a tour of some of the dried goods found at Costco. What is your favorite item mentioned here? Chime in if there is something we all just got to know about. 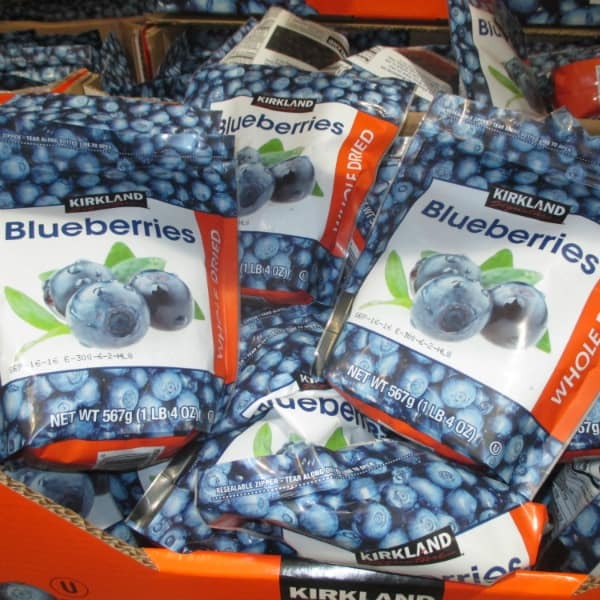 Another difference between the costco and TJ dried blueberries maybe the sugar added. I know costco’s have added sugar but have a feeling that the TJ wild ones don’t. Someone can correct me but I know that the reason I don’t buy much dried fruit at costco is because of the added sugar.